He's been charged with theft of a motor vehicle, nine counts of hit-and-run, and simple kidnapping. 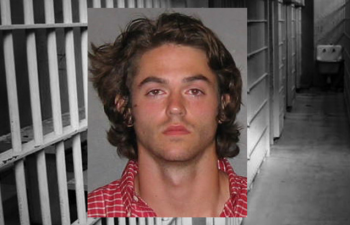 Zachary Burgess, 20, of Hoover, Alabama claims that Grand Theft Auto inspired his crime spree. He was in Baton Rouge for a football game and, when he saw a man leave his truck parked with the motor running outside a bar, Burgess got in the truck and drove away, not realizing that there was someone in it. The female passenger was forcibly restrained by Burgess as he tried to get out of the parking lot, but Burgess only managed to crash into nine parked cars - giving the passenger time to escape - before fleeing the scene on foot. Burgess was restrained by several witnesses to the incident, and the police picked him up soon after. During questioning, Burgess allegedly claimed that he wanted to see what it was really like to play Grand Theft Auto, according to BR police spokesman Cpl. Don Coppola Jr. Burgess has been charged with theft of a motor vehicle, nine counts of hit and run, and simple kidnapping. He's since been released on an $80,000 bond. There's no shortage of nuts, willing to claim the Devil - whoever the Devil is this week - made them do it. Maybe the Devil came out of a bottle or maybe Burgess is just that dumb, but whichever it is, here's hoping the book gets thrown at him.